Are you looking for a little help with reducing your debt? 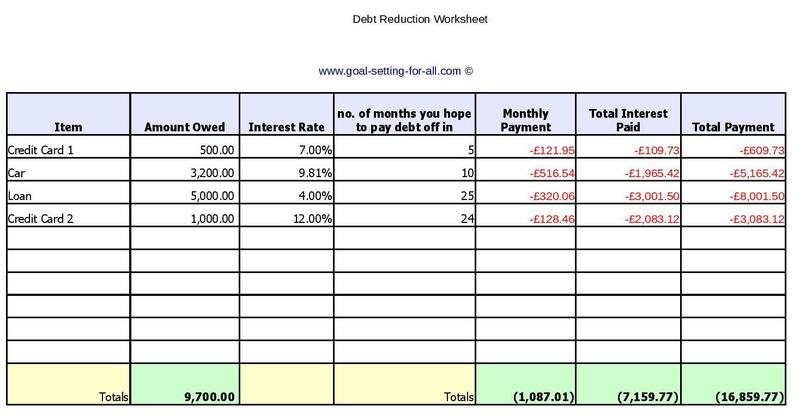 Maybe this simple debt reduction worksheet could be a step in the right direction? This debt reduction worksheet is easy to use and can help you plan how you will reduce your debt. You can download the Excel spreadsheet below. Have a quick look at the picture below to see if this will be helpful for you. To pay of your debts is a respect-worthy goal. To be debt-free after being in debt for a long time is such a huge relief! Hopefully you can use this worksheet to help you to plan the payment of various debts. First you fill in the item columns, the amount owed columns, and the interest rate per year columns. The one to be played around with is the 'no. of months you hope to pay the debt off in' column. Try out different combinations until you like the look of your individual and total monthly payments, the total interest payed, and the overall payment. The worksheet is set up for these figures to change automatically. You will notice that some combinations will have you paying less overall. Take what you can pay per month and keeping to that figure find which debts it is financially beneficial to pay off quickest. This worksheet will give you an idea about when you will be debt free which can be used in your goal setting. 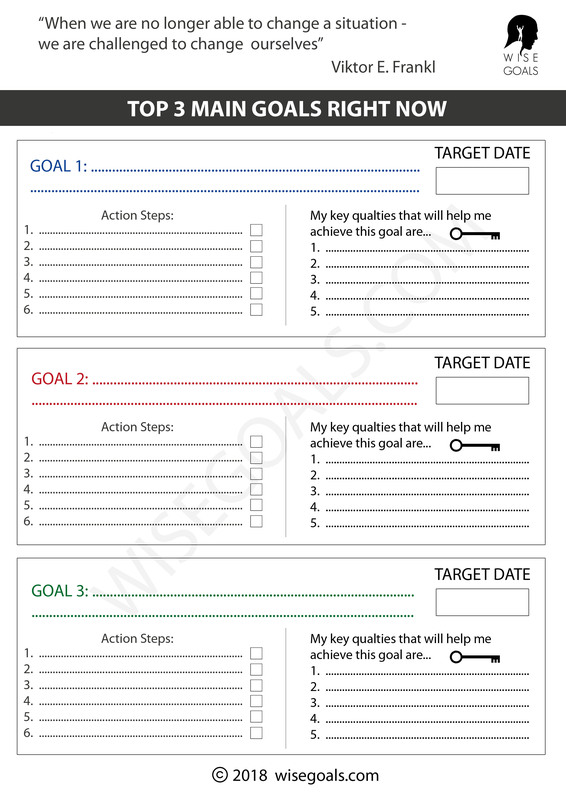 If you want think through your goal in some detail check out these worksheets. A copy of the spreadsheet above can be downloaded here. Simply add your own data over the example data I have put in there. Once you've entered your data and are happy with your monthly payment figures and totals I would recommend printing out a copy and putting it somewhere you can't miss every day. The idea is to do whatever you can to engrave the goal in your life so your life is primed and open to receive solutions. Good luck!